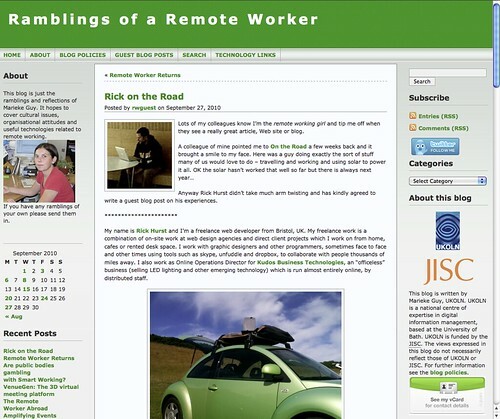 I was asked to write a guest blog on Marieke Guy’s “Ramblings of a Remote Worker” blog about my experience working on the road. Take a look! New macbook air got me all excited – the ultimate ultraportable workstation?